Tuffey has retired from all forms of cricket to concentrate on his work commitments with Moa Beer, and specifically to pursue a job opportunity in Australia. Tuffey represented Auckland Cricket, Northern Districts and New Zealand over the course of his career, picking up 77 test wickets and 110 ODI wickets in 123 international matches. He made his debut for Northern back in 1996/97 as an 18 year old, coincidentally against Auckland, before forcing his way into the BLACKCAPS in 1999/2000. That was the start of an 11 year career in the national team that involved a two year gap due to a stint in the ICL. In 2008/09 he joined the Auckland Aces and rapidly made himself a crucial part of their line-up, particularly in the shorter forms of the game where he contributed heavily to a reversal in the Aces fortunes. 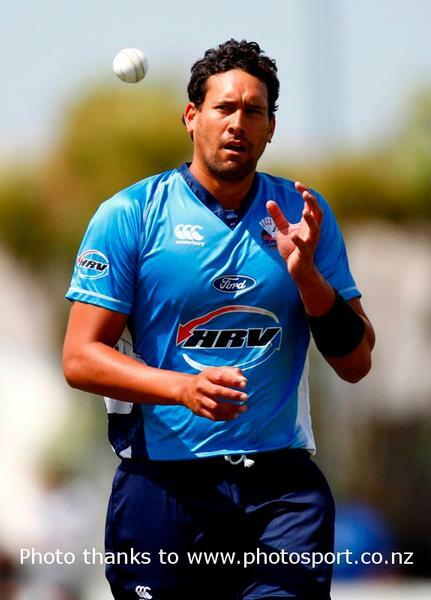 "When I arrived in Auckland we had a really strong four day team but were underperforming in the shorter forms. I think we've really managed to turn that round in a short space of time to not only win titles but develop a great winning culture within the side." Tuffey missed almost the entirety of last season through injury and that was a definite factor in helping him to come to his retirement decision. "I've had a few different injuries recently and they do get tougher to come back from. It's probably been my one major regret in cricket that I haven't spent as much time on the field as I would have liked but it's part and parcel of playing the game." Despite that Tuffey can look back on a career that saw a multitude of highlights and sees him reflecting on the chances he's had. "There aren't many people who get the chance to get paid for playing the game they love and I feel really lucky that I've been able to do that. It's been an honour to represent my country and to be able to do so in some great places around the world has been a bonus." Paul Strang, Tuffey's coach for the last four seasons, voiced his praise for the contribution he had made to the Aces and New Zealand cricket. "Daryl will be a huge loss to us because he brings so much to the side. He's been fantastic for us, especially in the short form stuff and contributes a lot both on and off the field. He's had a great career and contributed a huge amount to cricket in New Zealand."